HAVE YOU EVER WANTED TO UNFOLD? ONCHAN, Isle of Man – August 2 2018 – PokerStars has released its latest No Limit Hold’em cash game innovation, Unfold, which for the first time allows players to unfold their hand once the flop has been dealt. If a player has decided to change their mind, the hand previously folded will be used to play for an “Unfold pot” made up of antes taken from each player at the beginning of each hand. Each ante will constitute a percentage of the big blind. In order to play for the “Unfold pot” and in effect unfold their hand, players have to make a bet equal to the sum of the Unfold pot. Players who pay the Unfold stake cannot make any further bets after this point. The rest of the hand is played out amongst the main pot players while the Unfold players spectate. 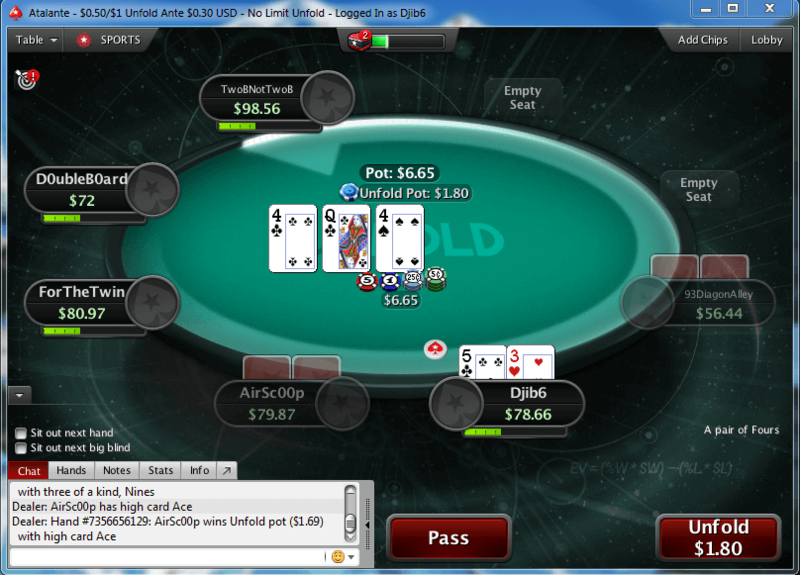 The Unfold pot is then awarded to the Unfold player with the strongest five card poker hand after the river is dealt. If the main pot is won before the full board is dealt, all remaining community cards will be dealt to determine the winner of the Unfold pot. To see a video preview of Unfold click here. Unfold, will be featured under its own tab in the PokerStars lobby. The game is currently available on .COM, .NET .UK, .EU and .DK, with more licenses to be rolled out in the future.